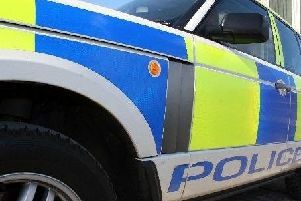 Police in Girvan are investigating an alleged incident of dangerous driving on the notorious A714 road. The police are appealing for the drivers of a white transit style van and a blue volvo to come forward to give information about the alleged offence. The incident took place around 12.30pm on Wednesday December 3 involving two timber lorries on the A714 Girvan- Newton Stewart Road. It is believed the lorries were travelling southbound with the cars coming northbound with the drivers of those vehicles aforementioned believed to have witnessed the incident. They are asked to contact Sergeant Kevin McKeown at Girvan Police office on the non emergency number 101 if they have any further information to help the policing team with their investigation. Police this week also reported a 21 year old male to the procurator fiscal for being in alleged possession of a controlled drug in Girvan’s Deacons Place on Friday 5th December. Police also arrested and detained a 21 year old male in Deacons Place on the evening of Saturday 29th November in relation to a robbery in the area that evening. The 21 year old male was detained and remanded in custody and was set to appear at Ayr Sheriff Court on Monday. A 50 year old male was reported by police to the procurator fiscal in relation to an alleged disorder offence in a shop in Dalrymple Street in Girvan on Sunday 7th December. A 52 year old female was reported by police to the procurator fiscal following an alleged disorder offence in Dailly on Saturday 6th December. Police are also appealing for information and witnesses after a window was smashed in the Greenside area of Girvan. The incident occurred in the early hours of Saturday 6th December and the resident of the house is believed to have been elderly. Any witnesses or anyone with any information on the incident is asked to contact PC Graham Barclay at Girvan police office on 101. Police are also repeating their message to anyone with valuables on farmland to keep them secured and hidden from any potential thieves. The message follows an incident on a farm in the Barrhill area which saw quadbike stolen from the premises overnight on Monday 1st December into Tuesday 2nd December. Police are reminding people to be vigilant and advise that these items should be secured away safely and never left with the keys still in them.